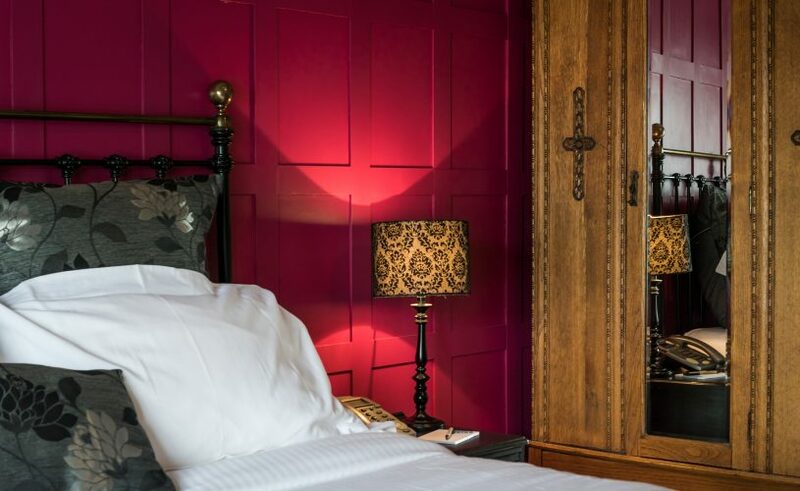 We have ten bedrooms, each with its own character and charm. There are nine doubles and one twin. 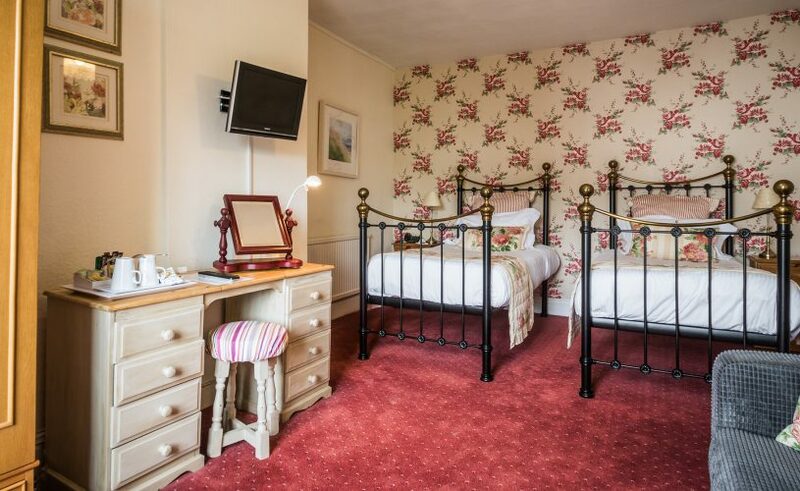 As well as hot drink making facilities; each room has a digital, flat-screen TV and phone. All our rooms have free WiFi. 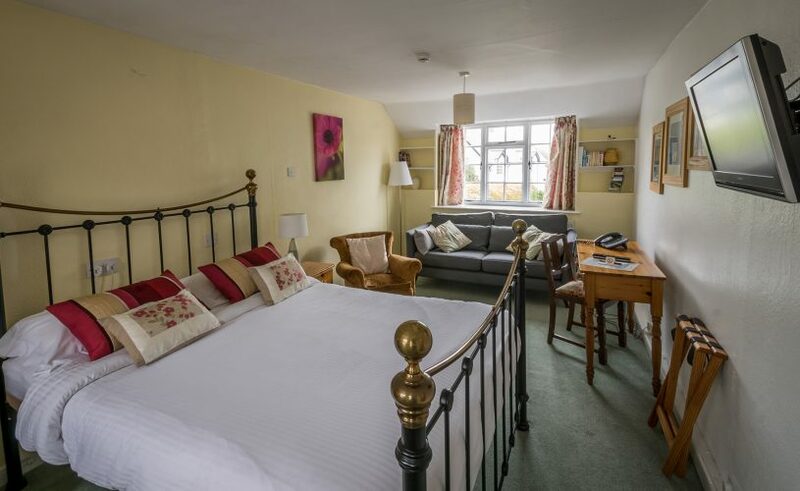 If you have trouble climbing the stairs, would rather a room away from the road, or would prefer a room with a bath rather than a shower; please ask when making your booking and we’ll try our best to make sure you get the right room. For the comfort and safety of all our guests all of our rooms are non-smoking. 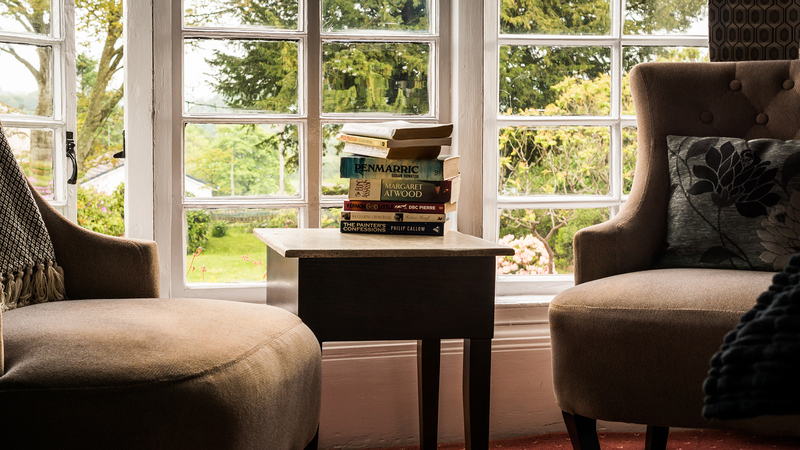 To make a booking visit our online booking system or call us on 01566 784863 – we’d be happy to help. There is further information about all our rooms and public areas in our Access Statement. We’re very happy to have pets in the hotel. We ask that pets are kept off the furniture and would encourage you to bring your own pet bedding. We don’t allow pets in the breakfast/dining room, so they need to be happy to be left alone in the bedroom during mealtimes. We ask that dogs are kept under control and on a lead in public areas. 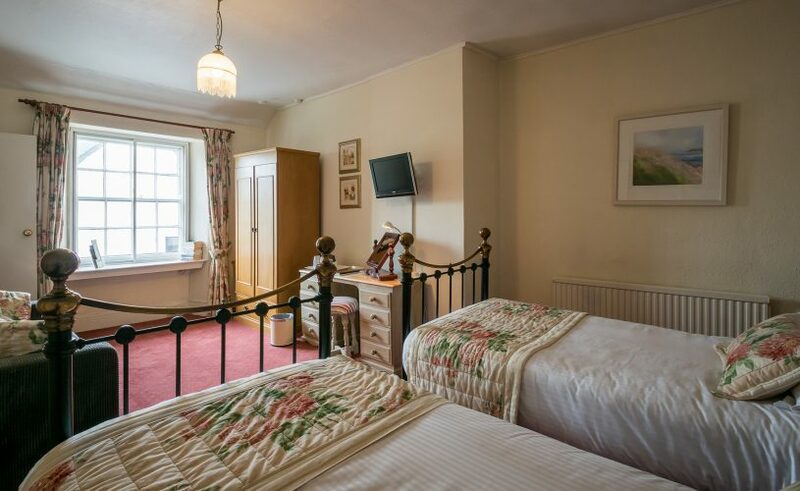 There’s a £7.50 charge per night. We welcome families in the hotel. 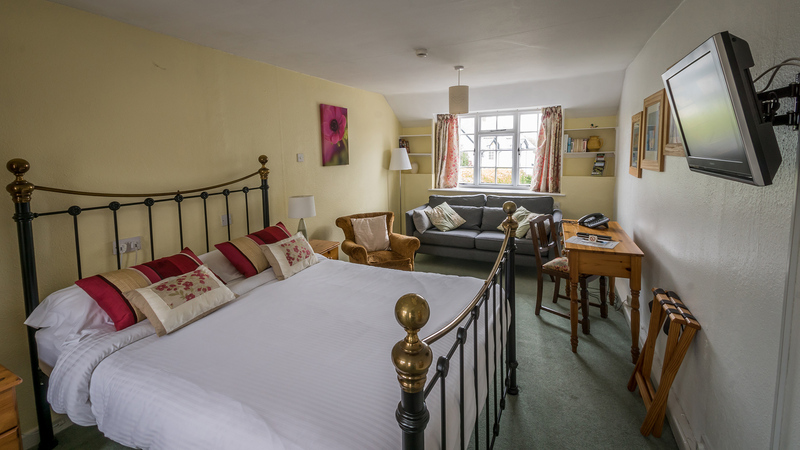 Two of our rooms can easily accommodate up to four people (two adults and two children or three adults). 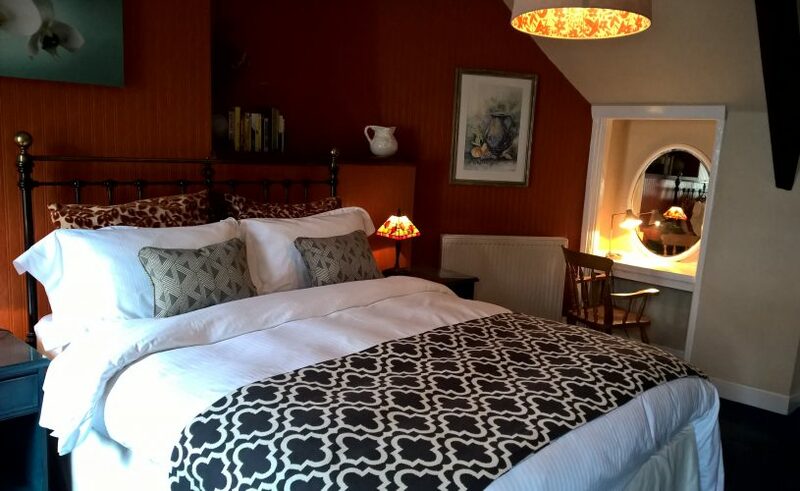 And we have a family suite that can easily accommodate up to four adults. 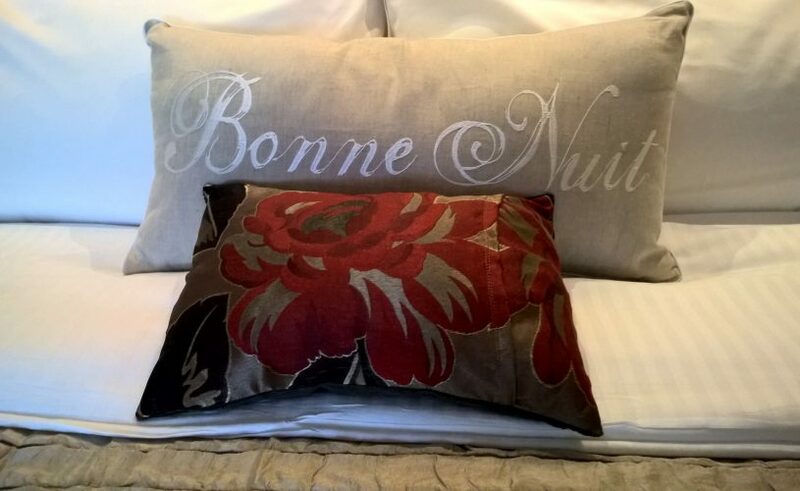 Our beds are made with crisp, freshly laundered, cotton sheets and pillow cases. Each bed has a duvet. The towels are fluffy, white cotton. 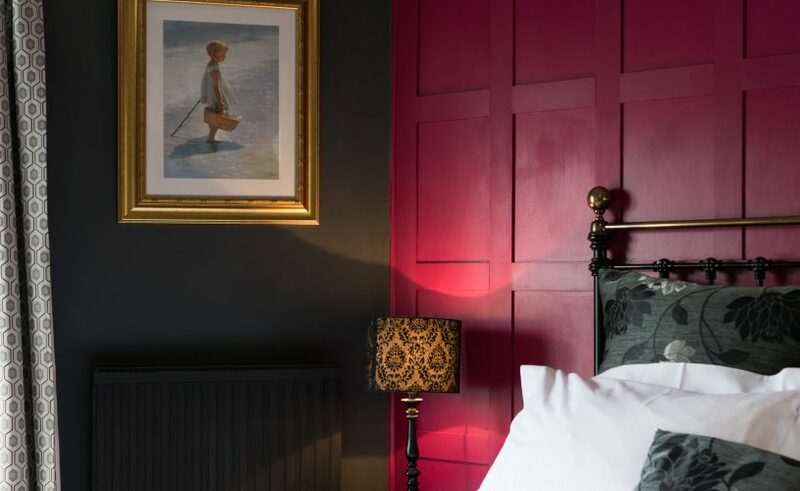 We’re sure that it’s this dedication to comfort that makes some of our guests claim it’s the most comfortable bed they’ve slept in on a night away from home!